Sometimes it is surprising to find out that nationals in a country are unaware of some very important data regarding their history. We don’t want that to be Jamaicans, so we’re providing you with five essential facts every Jamaican needs to know about Norman Washington Manley. 1. He was an outstanding athlete, soldier, scholar, lawyer. Born at Roxborough, Manchester, on July 4, 1893, Normal Manley established himself as an outstanding leader in several fields early on. In high school, he was a prolific athlete, representing Jamaica College in 17 events at Champs between 1910 and 1912 – as well as participating in football, cricket and boxing. He was also a Rhodes Scholar, a World War I military hero, and the first Jamaican lawyer to appear before the Privy Council. 2. He founded the People’s National Party. 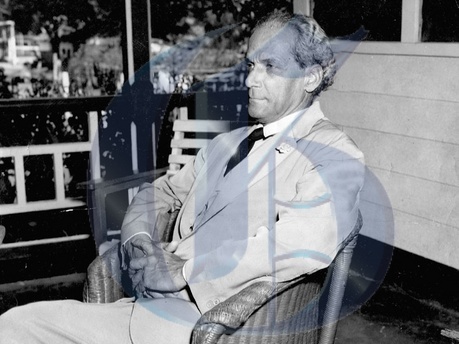 In September 1938, Manley founded the country’s first major political party, the People’s National Party (PNP) and was elected its president for 31 years straight until 1969, when he retired. 3. He was Jamaica’s second prime minister. The PNP suffered defeat twice in general elections to the Jamaica Labour Party (JLP), before finally getting victory in 1955. Manley was elected chief minister in 1955 and 1959, and was also responsible for leading negotiations for Jamaica’s Independence in 1962. 4. He was the cousin of Alexander Bustamante. Yes, that’s right. Norman Washington Manley and Alexander Bustamante were cousins. And Manley’s wife was renowned artist Edna Manley. Interestingly, the Edna Manley College of the Visual and Performing Arts was named after her, and the Norman Manley Law School at the University of the West Indies, Mona, was named after him. 5. He is a National Hero. On October 18, 1969, Norman Manley was conferred with the Jamaica’s highest national honour – the Order of National Hero along with his cousin Alexander Bustamante.